Did you know we’re dog friendly? Many of our beautiful brasseries have dog-friendly spaces, bowls of water & treats ready and waiting to welcome wagging tails! 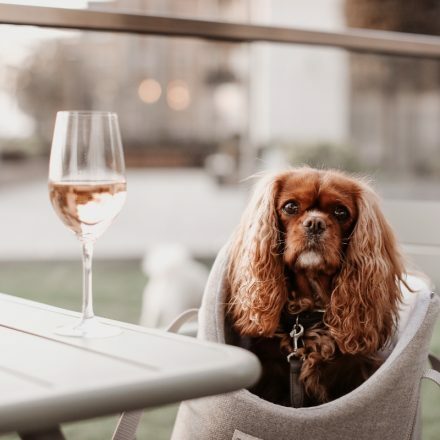 So the next time you’re planning to join us for a meal ‘chez nous’, gather family, friends and ‘four-legged friends’ and book your table with us. *The pawfect pooch pictured is dog influencer @ameliathecav. Photograph by owner, evaespresso.com.